For this week's challenge on The House That Stamps Built, Laurie picked "Things With Wings." I decided to make a couple gift tags with this beautiful butterfly stamp from Repeat Impressions. To create the background: I used sponge daubers to add three colors of distress ink over the Watercolor stencil from Tim Holtz. For the butterfly: I stamped my image in Versamark watermark ink on watercolor paper and embossed it with black embossing powder. Using a small paintbrush, I colored in my butterfly with three colors of Ken Oliver colorbursts. For the ribbon: I dyed some seam binding to match my tag using Seedless Preserves and Broken China Distress ink. Wow, Esther! These are simply stunning! Thanks for sharing! WOW these tags are fabulous Esther! Your butterflies are GORGEOUS! Well done!!! Thanks so much for joining in the fun at our Double D ‘ATG Birthday/Anniversary’ challenge! We hope you’ll come back often. Me again and I'm still in AWE over the beauty of these butterflies! Just gorgeous! Thanks so much for playing in our ‘Anything Goes DRU’ challenge at Dies R Us! Please come back again soon! GORGEOUS tags, Esther. I love all the purple. Thanks so much for sharing in our challenge. It's always a treat! Oh Stunning - love the blues and purples you used. Who wouldn't love to get this in the mail. My favorite is the seam binding - wish I could find just some plain white so I could dye as I want. These are gorgeous, like the deep colors of the Colorburst, the pretty stencilling and the dyed ribbon-wow! Beautiful Esther...I just love the effects of Colorburst! Thank you for joining our challenge at Double D! Oh, my! These are beautiful tags with such lovely stamps and techniques. What a combination of creativity! I'm so glad you joined our celebration at Double D, and thank you for the invitation to join your challenge, as well. Happy new year! Gorgeous butterfly tags! Love the colors you chose & I can see them attached to a beautifully wrapped gift creating an even more spectacular gift. Thanks for joining our "Anything Goes" challenge at Dies R Us! Oh, these are so gorgeous!! 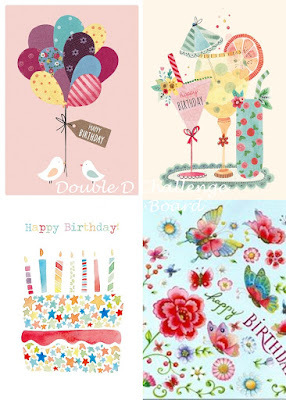 LOVE the colors and the soft stenciled backgrounds!! And your butterflies are stunning! That butterlfly is so beautiful!!!! Beautiful butterflies. Thanks for sharing your design with us at Dies R Us Challenge Blog. We hope you will join us for future challenges. Oh, what beautiful wings you created on your tags! The colors are just dreamy! All I can do is catch my breath and sigh a big WOW!!! The butterflies are amazing, as well as the backgrounds and all the other wonderful details! Gorgeous tags!! Absolutely gorgeous tags, Esther! I love those butterflies and your gorgeous layering work here. Stunning! That butterfly is gorgeous and I love the colors in the background, too! Ester, these are so pretty! Good job with the challenge! These tags are gorgeous. Love your colour choices and great layout.